JDG Electrics Limited was established by Jamie David Gough in 2010, with the aim of providing people in the South Manchester area with a high quality, reliable and trustworthy service at competitive prices. 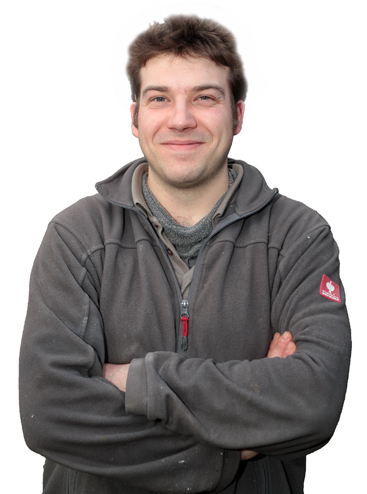 Jamie has over seven years' experience training and working as an electrician and is a registered contractor with one of the independent leading national certification bodies for electrical installers, NICEIC. "I wanted to set up my own business to deliver a friendly and professional service, but also one that customers could trust, where they didn't feel they were being ripped off and where the prices charged were fair. I don't see why quality has to have a huge price tag. I go out to meet customers personally and undertake the electrical testing and installation work. I enjoy meeting people, being able to provide them with advice (without the jargon!) and I'm very proud of the relationships I have built up with my customers over quite a short time. Our no hidden extras policy means that you will never be in the situation where you have a nasty surprise bill. We have two ways in which we price for work, for most jobs, big and small we will provide you with a free estimate detailing the work to be completed along with material costs. For some smaller jobs we charge for the time taken to complete the work; and unlike some companies after the first hour we will charge for every half hour after this and no full hours so that you only pay for the actual time we are on the job. We will also not charge you a call out fee. All work we complete is undertaken to the British Standard BS7671 – Amendment 1 2011, which is the UK national safety standard for electrical installation work and as approved contractors with NICEIC our work is accessed on a regular basis. We believe it is important that customers are confident in the knowledge that we will complete the work to the highest safety standards and respect their homes. We are proud of the relationships we have built with our customers and receive a lot of repeat business and recommendations as a result. If you have an electrical query or project you would like some advice on please do not hesitate to get in contact.